We will be closed April 1st thru April 6th, but please for the entire month of April call before visiting the nursery. Extremely slow does not describe the growth rate of this palm in cultivation, it is the slowest growing palm we have ever seen and after 7 years may only be a few inches tall, however if you discover the secret to getting it to grow what an impressive palm you would have… Here’s a true opportunity to leave a legacy for generations to come.. 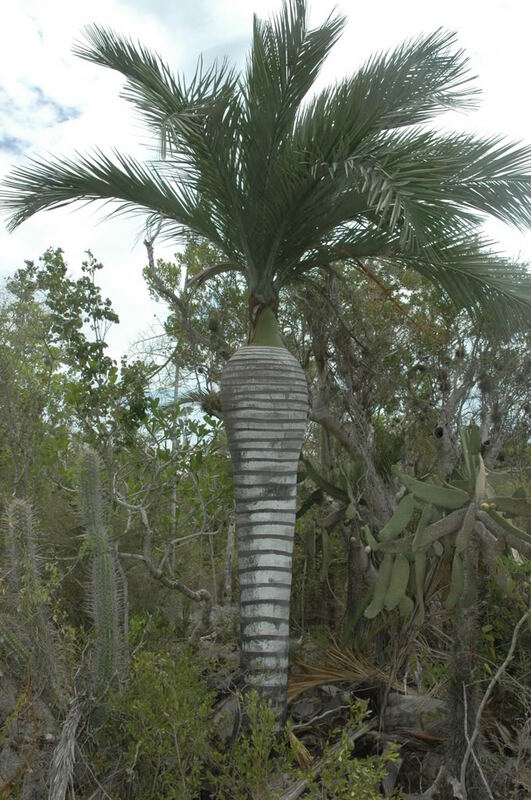 It is a most beautiful palm resembling a giant white carrot with lacy green leaves. The white, waxy, distinctly ringed trunk gets to about 20 feet with bulge above its mid point giving it an urn like appearance, adding even more to its character… Whether in a pot or in the ground it likes limestone and extremely fast draining soil and sun. Copyright © 2018 Exotic Palms, All rights reserved.